The Internet of Things (IoT) is radically transforming industries. Learn the essentials of IoT and the skills engineers will need to successfully design smart products. There’s a lot of hype surrounding the Internet of Things (IoT), but even if IoT feels like an overused term, it offers real benefits for mechanical engineers. With IoT, there’s enormous potential for engineers to design better, smarter products. Robust insights into real product performance and new product capabilities made possible by IoT are revolutionizing how things are designed, made, and used. The growing network of connected products means a new set of mechanical engineering skills. To design smart products, engineers will need to learn how to seamlessly integrate digital and mechanical aspects, and how to leverage big data to inform future designs. These skills can reap huge benefits for engineers, particularly closed loop design processes and potential for added consumer value. The Internet of Things allows engineers to follow the products they design throughout their entire product lifecycle, enabling engineers to learn how their design performs in reality so they can create more productive and efficient products in the future. By utilizing the cloud, IoT platforms, smart product components, big data, and connectivity, engineers will steer the future of industrial innovation. IoT is the technology engineers need to gain valuable insights and ultimately to improve designs. 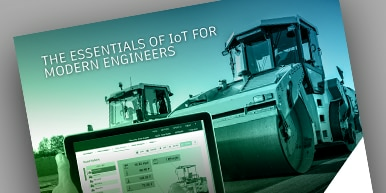 Download this eBook to learn what the modern mechanical engineer needs to know about the Internet of Things.